The Arab League is embroiled in a new cold war among its own members, largely over Iran’s role in the Middle East. 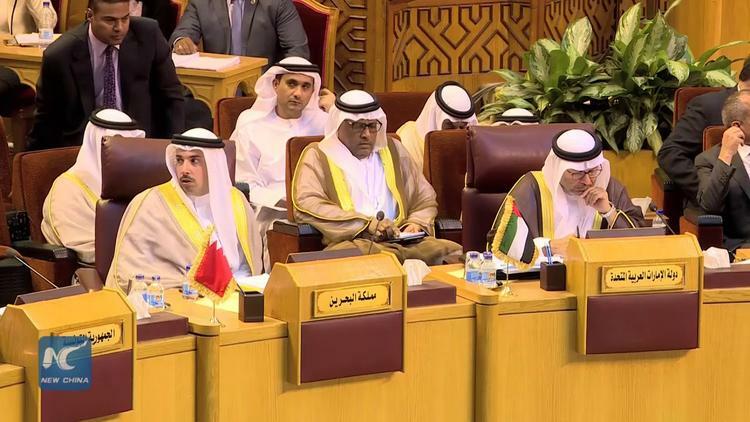 Saudi Arabia and the UAE have so much influence in the Arab League that they got through a resolution of the foreign ministers committee condemning Iran and casting Lebanon’s Hizbullah as a terrorist organization committing terrorism in Arab countries. (This attitude is not new. In 2016, as well, the Arab League called Hizbullah terrorists). This resolution was rejected by Lebanon, Syria and Iraq as well as by the Palestinian party-militia Gaza. At least in the past, Algeria has also refused to buy into such rhetoric. The Houthi government of Sanaa Yemen demurred, as well. I can’t imagine Oman going along with this wording, since it brokers deals with Iran. Qatar has also rejected the resolution (it is being targeted by Saudi Arabia). Egypt, too, has been signalling that Cairo thinks the time inopportune for ratcheting up tensions with Iran. Iran charged that Saudi Arabia is the country destabilizing the Middle East. So my guess is that governments representing a majority or plurality of the Arab League states are actually opposed to this FM Council resolution. The Arab League comprises 22 members, all but three of them Arabic-speaking (Somali, Djibouti and the Comoros Islands make a special place for Arabic as an official language). Since a language is not actually an ethnicity or a nation, it is not surprising that the Arab League usually does not amount to much as a nationalist organization. It has frequently been split over key issues. In the 1960s it was split between nationalists like Gamal Abdel Nasser who tilted toward socialism and the Soviet Union, and monarchies like those of Saudi Arabia and Morocco who tilted toward capitalism and the United States. In a later era it expelled Egypt for concluding the Camp David Peace Accord with Israel in 1978-79. It split on the Arab Spring in 2011. So this split is nothing new, though the occasion for it– the question of how belligerent to be toward Iran, is new. If Saudi Arabia dreamed of regimenting all the Arabs behind this conference, they failed.